Jimmy White is a five time New Music Award Winner (Hollywood, CA) including 2012 Best Male Artist, winning over fellow nominees Steven Tyler and Michael Buble. He has also won 10 IMN Independent Music Awards (Los Angeles, CA) since 2009, including the Best Male Artist award for an unprecedented 4 years in a row. A self taught pianist, inspired early on by the harmonies and distinctive sound of the cutting edge music of Brian Wilson, White knew from his very first spin of “God Only Knows” that he was at last “Home” ... The distinctive fusion of music and lyrics and their development in the recording process continue to be this talented singer and songwriter’s first love. Since 2006, White has had four #1 STS Main AC Chart singles and 14 #1 Independent AC singles in a row. 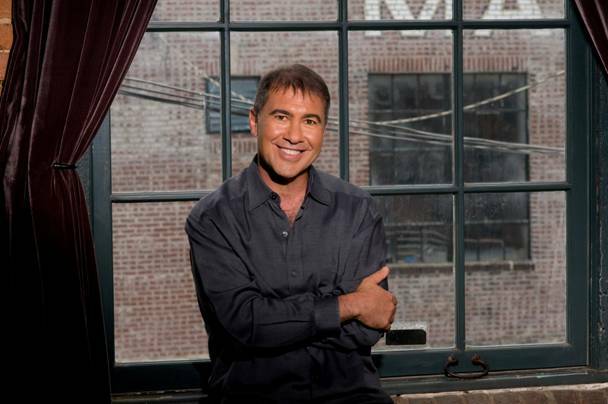 He has also charted six times in the Billboard AC Top 40 and six times in the FMQB AC Top 10. 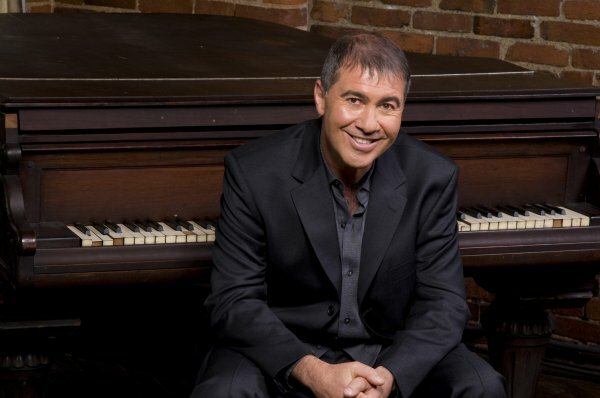 White recorded his latest CD, “My Mom Joined The Circus”, with legendary producer, Gary Mallaber, famous for his work with Van Morrison, Steve Miller, Bruce Springsteen and many others. 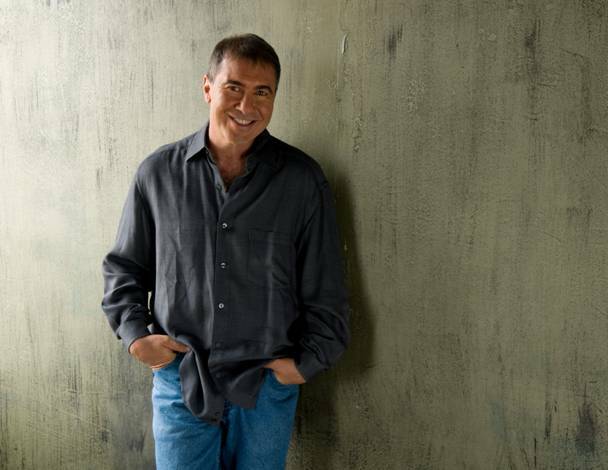 In addition, Jimmy had a number 1 AC hit in 2010 with his “Just What I Need”, a duet with the legendary Jonell Mosser and recently completed 5 songs with the Kenny Rogers Band. White also worked for years with the late Hall of Fame producer Dave Bellanca and the late guitarist Danny Gatton, considered by many to be the greatest rock guitarist of all time. One of his long time guitarists, Kenny Hawkins (Rick James, Stephanie Mills), was a featured guitarist on “Guitar Hero”. Two of the videos from White’s “Two Cities” release, Katy Did and Forever and a Day, have achieved over 575,000 views apiece. “Good Friends Are Hard To Find”, from his Hidden Pictures CD, has garnered over 2,000,000 video views worldwide and has been a staple of support for the Bella Moss Foundation, which studies the devastating effects of MRSA infections in animals. The single release of “Forever and a Day” spent 3 weeks tied with superstar Steven Tyler as the “Most Added” record in the country on FMQB AC. And “Katy Did”, after becoming White’s 4th national AC No.1, has become a karaoke classic. White’s newest release, “My Mom Joined the Circus”. White shows an amazingly broad spectrum of musical tastes on this new 11 track CD: The tropical feel of "Michaela" and the Country flavored, "Two Beers Better" feel more commercial, while "Miserable Man" and "No Goodbyes" are very personal to the artist. On this CD, White also took a comedic look at life with the title track, “My Mom Joined the Circus” and “Daddy Looked Good”. There are two musicians/groups playing on the record that are in the Rock Hall of Fame, Gary Mallaber (Steve Miller, Van Morrison, Bruce Springsteen among many others) and the members of the Kenny Rogers Band. My Mom Joined the Circus is released on 828 Records and the full CD, singles and ringtones are now available on iTunes: and Amazon. This multi-award winning artist says modestly of his gifts: “I just do the best with what God gave me”. 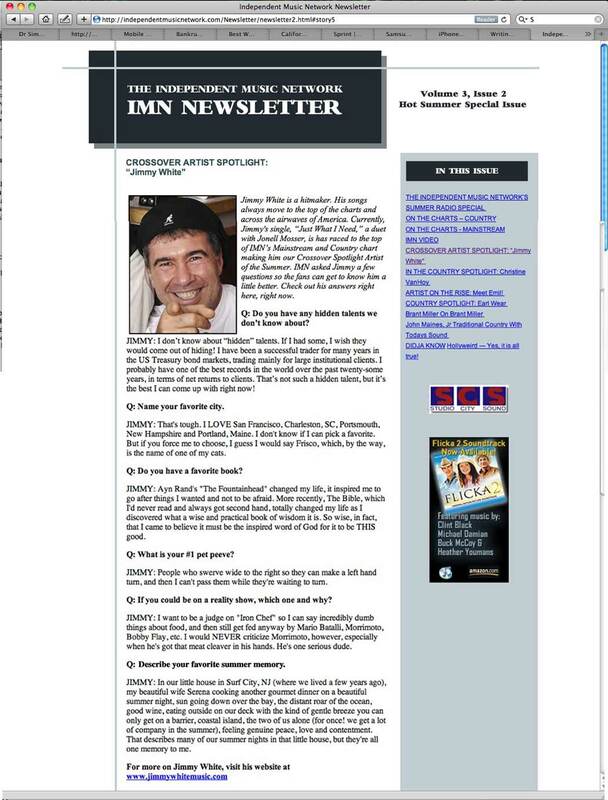 A wonderful interview with Jimmy in the “Award Season 2011 Special Issue” newsletter from Independent Music Network. Jimmy was nominated in 4 categories and WON the Best Male Artist Award for the 2010 IMN Awards. 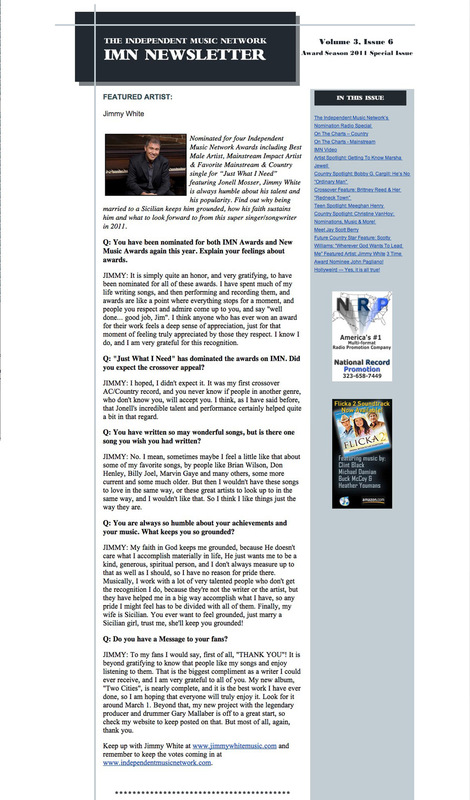 A great interview with Jimmy in the “Best of 2010” newsletter from Independent Music Network. Jimmy has been nominated in 4 categories for the 2010 IMN Awards. 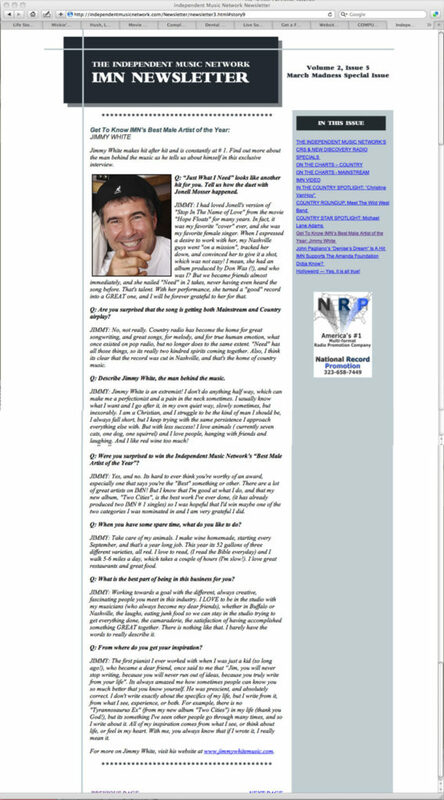 A great interview with Jimmy in the “Summer” newsletter from Independent Music Network. Music Network after Jimmy had recently won the IMN “Best Male Artist of the Year” for 2009.